The peculiar animated musical phenomenon that is Gorillaz released a new record titled Humanz April 28th of this year.This is the animated band’s newest material since the release of The Fall seven years prior. Gorillaz unveiled a twenty song tracklist onto the world of music. 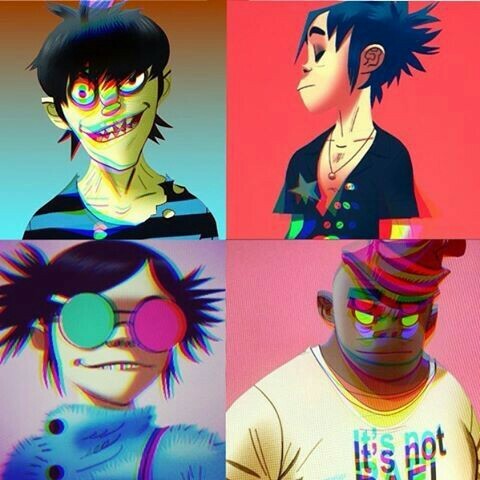 The record showcases a plethora of collaborations with features ranging from Mavis Staples, Grace Jones, Noel Gallagher, to rappers such as Danny Brown and Pusha T. The album gives you a diverse look into how Gorillaz are constantly picking apart genres and molding them into their own genre. The album opens up with Gorillaz and Vince Staples in a end of the world hip hop club tune Ascension which transitions to the funky tune Strobelite. The album goes on to showcase a trippy trap reggae themed song aptly named Saturnz Barz. The three songs previously mentioned really show how fluidly they transition between genres. The album include also more upbeat tunes like Charger and She’s My Collar for those who crave more energy. The album also feature songs that deal with relevant political issues in our world’s current state songs like Let Me Out, Hallelujah Money, and the album closer We Got The Power. The rise and fall of Humanz is the collaborations, though the many faces on this records are a delight I do wish there were more songs that were exclusively “Gorillaz”. This record is very reminiscent of their previous record Demon Dayz (2005) in many aspects including the album cover, theme, and overall vibe. Both records share an apocalyptic theme and a darker tone. It’s definitely a breath of fresh air from their previous effort The Fall. All that being said, it poses the question “Humanz, Demon Dayz sequel?”. This record is definitely an A for me. A+ if there were more songs with just Gorillaz and not so many features. It gets the #ShoesStampOfApproval . Gorillaz will also be performing at this year’s Life Is Beautiful Festival in September right here in Las Vegas. Previous postPlaystation “Days of Play” Sale!